It's here! It's here! 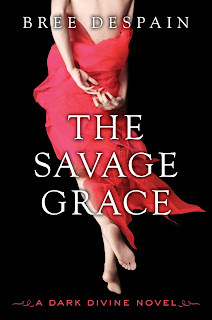 The release day for THE SAVAGE GRACE is finally here!!!!! I can not tell you how sad, scary, happy, awesome it is to give "the end" to readers. I want to cry and happy dance all at the same time. Heh. I just tried combining "cry" and "happy dance" in my head and came up with "crappy dance." That's pretty much how I dance all the time. Anywho . . . I'm celebrating release day by getting ready for the big TSG Launch Party at the King's English Bookshop. It's tonight at 7.p.m. and I would love to see you if you're in the area. The other way I'm celebrating is by announcing the winners of Dark Divine Fan Talentmania!! And also the winners of the door prizes! The judges have turned in their votes. The numbers have been compiled. So here we go! Congratulations to all the Talentmania and door prize winners! Please email me at readbreecontests[at]gmail[dot]com to claim your prize. You have 30 days to do so, or I will assume you don't want it and the prize will be given to someone else. *Since nail polish can not be shipped internationally, if you are outside the USA stickers and bookmarks will be sent instead of nail polish. I hope you all have a wonderful TSG Launch Day! And I really hope you enjoy the book! And I hope to see at least a few of you at the launch party tonight! THE SAVAGE GRACE Soundtrack Round 5 and Holy Crap TSG releases tomorrow! Can you believe that THE SAVAGE GRACE comes out tomorrow? I still can't quite wrap my head around it! Here are the last three songs in THE SAVAGE GRACE Soundtrack. I have to admit that I got a little misty eyed putting this post together--mostly because I know what happens in the book at this point. Description: Let's call this "the battle song." Description: I told you in the first post that I listened to A LOT of Florence while writing this book. I wasn't kidding. I could put several more F+TM songs on this playlist, but narrowed it down to the most essential. I'm including this song because I can't help thinking "The Dog Days Are Over" when I think about the trilogy coming to an end. It's a thought that makes me happy in a gut-wrenching sort of way. Which is kind of what this song is about. Saying goodbye to these characters has been really hard, but I am thrilled to finally have their complete story out there in the world. So tomorrow is the big day. I've still got a ton of things to finish before the launch party, so I had better get going. Be sure to come back tomorrow--I'll be announcing the winners of Talentmania, and all those nice door prizes! As promised, here is today's second TSG sountrack post. I hope you like these songs as much as I do! Descrption: Love, love, love this song. It's about coming home. That's all you really need to know. Just listen, and enjoy. Because it's awesome. Description: You know that moment in a book where everything feels like it is as it should be? But you know this perfect moment can't last? And that any minute now the happiness is going to end and the shizz is going to hit the fan? Yeah. That moment. Description: The shizz has arrived. And somebody just turned on the fan . . .
Descripiton: Somebody has got to take this shizz down! But first there are preparations that need to be made. This song is really good at showing the mixed emotions of the gang at this point. The music itself has a rhythm and speed that conveys the fear and anxiety felt as they prepare for battle, but then the juxtaposition of the slower, calmer voice and lyrics help show the sadness that is felt by Grace and her family, and their determination to keep their emotions in check in the face of the coming storm. Okay, that's all for today. Be sure to some back tomorrow for the last TSG Soundtrack post. Can you believe that THE SAVAGE GRACE is only 2 sleeps away?! Or I guess only 1 sleep away if you buy it on eBook right after midnight. Eep! Sorry for missing yesterday's soundtrack post. I spent most of the day in a doctor's office dealing with a medical issue, and then decided I needed some time to relax before the big day this coming Tuesday. So I spent the evening staring at a shirtless Taylor Kitsch (a.k.a. Went to see John Carter with hubby) and didn't make it back early enough to put my post together before falling asleep. Anyway, that just means you get 2 soundtrack posts today--and each 4 songs! I hope you enjoy! And be sure to tell me what you think in the comments. Description: This is a point in the book when the action of the story starts to pick up and Grace starts to embrace her "kick-A-ness" (as April would put it). Description: This is pretty much the theme song for Talbot. He's got a "mouth full of diamonds" as in he's charming and has a smile that will sweep you off your feet, but he's also got a "pocket full of secrets." Grace wants to trust Talbot and accept his help--but she just doesn't quite know if she can "believe" in him. Description: This is an amazing song that captures the feeling of just embracing the moment and being who you are meant to be right then and now. Crappy stuff has happened and more trials are yet to be faced, but for now, let yourself feel triumph and hope. Be sure to check out today's second post for more awesome songs for your listening pleasure! It's day two of sharing songs from THE SAVAGE GRACE soundtrack. If you missed day one's songs, click HERE to listen to them. I'll be posting songs from the soundtrack everyday up through March 12th, so be sure to check back to find out what songs inspired TSG. I've had a few people ask about the soundtracks for the first two books so I decided to link to those. For the soundtrack for THE DARK DIVINE click HERE. For the soundtrack to THE LOST SAINT click HERE. Now on to today's songs. I hope you enjoy! Description: As the story progresses so does the tension... all leading to the first crescendo leaving one of the characters in danger. This song follows a very similar pattern. Plus I just really like it. Description: It is getting more and more difficult to explain why I chose the song without giving anything away. Grace has some very emotional scenes following the events that song #4 represents that she faces with strength and determination. I love how this song allows you to feel the weight of sorrow while still feeling empowered to press forward. I think this is exactly where Grace is emotionally at this point of the story. Description: I love this band--and I discovered them thanks to the recommendation of a blog reader. This is song represents a point in the story when Grace realizes that it is up to her to solve a big problem, whether she feels ready to or not. She has to muster up what power she has and run with it. Literally and figuratively. Thanks for listening! Be sure to tell me what you think, and be sure to come back tomorrow. It's time! The last full moon before the launch of THE SAVAGE GRACE is upon us, which means... it's time to share the TSG soundtrack! I love this part. I love music-- A LOT-- and for me it is a huge inspiration for writing. Often I will find three or four songs I will listen to over and over again when I'm in the middle of a draft. But the soundtrack is more than that. It's not just a list of songs I listened to while writing TSG (though that is how a lot of the songs were chosen), it is meant as a companion to the book. A list of songs that follow the mood and scenes as the story flows. For the next 5 days, leading up until the release of THE SAVAGE GRACE, I will be posting 3 songs a day with explanations of why I chose them. So let's get started shall we? Description: As many of you know, THE LOST SAINT ends on a bit of a cliff hanger and things are not as they should be. TSG starts shortly after TLS finishes with the characters trying to deal with their current situation. I really view this song as the theme song for chapter 1 (which you can read now here by the way), and it perfectly captures the yearning and passion and heartache that Grace is going through as TSG begins. Description: Ok, so basically I listened to this whole album over and over again while writing TSG. I love her voice and her incredible ability to convey such emotion with every single word. Soon after the book begins, we find Grace running through the woods feeling both the pull of the wolf and her love for Daniel... take a listen and this choice will make sense. Description: Hopefully not giving too much away, let's just say that Grace misses Daniel and is exhausted... The song itself is has a very ethereal and disconnected sound that goes perfectly with the lyrics, creating a feeling of loss and longing for someone. Ok. That's it for today. Come back tomorrow for more soundtrack songs. Lots more good stuff to come. But for now, what'dya think? Like the songs so far? Any guesses on what might be coming next? Are you as freaking excited for next Tuesday as I am? Because I'm actually shaking right now. Of course, that could be the nerves. Uh oh. It's the nerves. Oh Crap! Freak out coming on... where'd I put that chocolate?! P.S. Don't forget that in anticipation of THE SAVAGE GRACE release, the eBooks of THE DARK DIVINE and THE LOST SAINT are on sale wherever eBooks are sold for only $1.99. Some places are selling them for as little as only $1.31! That's freaking insane! 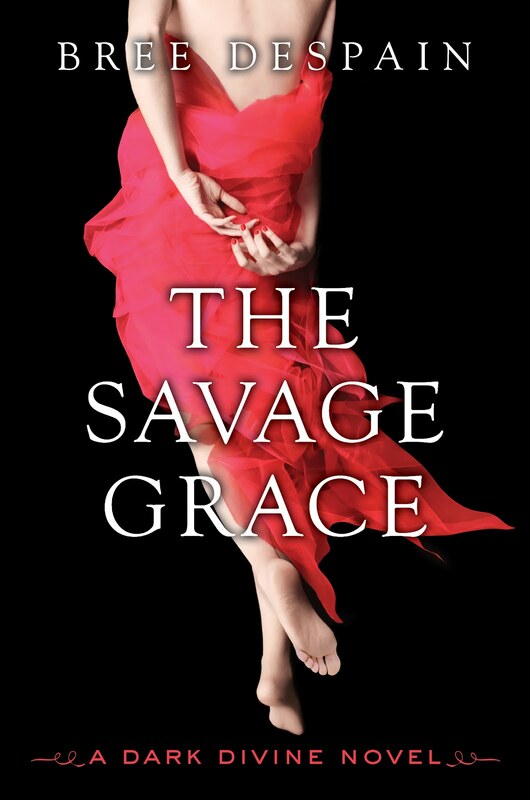 You guys, THE SAVAGE GRACE comes out ONE WEEK FROM TODAY!!!!!! To celebrate the upcoming release of TSG, the eBook versions of THE DARK DIVINE and THE LOST SAINT are currently on sale for only $1.99 each! 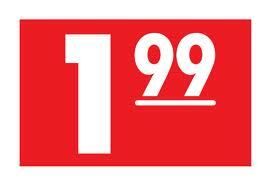 You can find this special deal on Amazon, Barnes & Noble, Books-a-Million, or pretty much anywhere eBooks are sold. That way you can brush up on (or catch up with) Grace, Daniel, Jude, Talbot and the rest of the Divine gang before the launch of THE SAVAGE GRACE on March 13th. Or maybe even gift the eBooks (at a super cheap price) to a friend or family member who might enjoy the Dark Divine trilogy. But don't delay, this special offer is only good until March 19th! For a list of other things going on here in ReadBree Land, and for details about upcoming signing and events, be sure to click HERE. Okay, now on to the main event! If you want to know the names of the finalists who will be moving on to the final round of Dark Divine Fan Talentmania, raise your hand! Okay, now put them down. That looks uncomfortable. Plus, you can't scroll with both hands in the air. Believe me, I've tried. It takes a very dexterous nose. So here's the deal, I absolutely LOVED every single Talentmania entry. Seriously, loved them like burning. Every entry showed so much passion and love and talent, it made me want to burst. And it didn't help that the voting was so fierce on some of the entries! (You voters rock!) Because of this, I found it nearly impossible to narrow the entries down to only 5 finalists in each category. Therefore, I decided that the best thing to do was to choose the top FOUR most-voted-for entries (as opposed to only the top three entries like I had originally planned) along with two wild card entries in each category to advance on to the finals. That makes a total of SIX finalists instead of only five. But don't worry, I have decided to award TWO third prizes in each category to compensate. Before I list the finalists, please note that only legitimate votes that followed the voting rules were counted (i.e. completely anonymous votes were thrown out). I, along with the help of two other judges, selected the two wild card finalists out of the rest of the group. So without further ado, I give you the Dark Divine Fan Talenmania Finalists (listed in no particular order) . . .
Finalists, congratulations! Your entries will now be submitted to a panel of judges who will determine the final outcome. Winners will be announced here on the blog on March 13th. Voters, be sure to come back on March 13th to see if you won one of the door prizes! For a list of door prizes and to see what the finalists are competing to win, please refer to THIS POST. Looking for something to tide you over until the 13th? You can read the first chapter of THE SAVAGE GRACE by clicking HERE. And be sure to come back on March 8th when I'll post my playlist/soundtrack for THE SAVAGE GRACE. Hey all, just wanted to give you a quick list of places I'll be, and things I'll be doing for the next couple of months. I hope you'll be able to join me for some of them! Finalists for the Dark Divine Fan Talentmania will be announced. To celebrate the last full moon before the launch of THE SAVAGE GRACE, I will post my writing playlist for the book. Come find out what songs inspired TSG! THE SAVAGE GRACE release day with fun stuff going on! Winners of both the art and fiction portions of Dark Divine Fan Talentmania will be announced. Winners of the door prizes for Talentmania will also be announced. And later that evening . . .
Official THE SAVAGE GRACE Launch Party!!! Come celebrate Saint Patty's Day by learning about writing from a plethora of YA, Middle Grade, and Picture Book Authors--and help kids in need while your at it. This fantastic event that raises money for children's charities is going to be bigger and better than ever before. I'll be co-teaching a class with Brodi Ashton and Emily Wing Smith. Even if you've been to WFC before, you will want to check out their website to see just how much more awesome the conference is going to be this year. Click HERE for more details. What: I will do a book talk and read from THE SAVAGE GRACE starting at 7 p.m. Then I will be on hand in the store until 9 p.m. to sign books. I'll be in Chicago for this fun-filled, book-loving event. I will be one of the participating authors in the YA Slumber Party and the Teen Day Party, plus I'll be signing books in YA Alley. That's all the events I have scheduled for now, but I hope to be adding more for April and May. If you can't make it to one of my events, but would still love a signed book, you can order one from The King's English and I will sign it for you the night of my launch party. For info about ordering signed books, click HERE.